Peter Blake: Alphabets, Letters & Numbers. 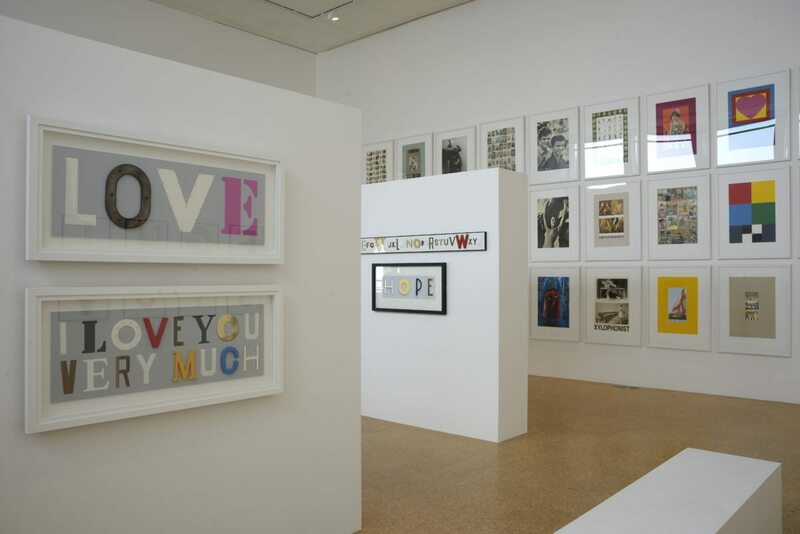 This stunning exhibition by Peter Blake comprises three print series, Alphabet (1991), An Alphabet (2007) and Appropriated Alphabets (2013), and a personally chosen selection of related original artworks. Throughout his career, Sir Peter Blake has created works based around the alphabet, making assemblages from vintage cards, magazines, books and found ephemera. Often referred to as the ‘Godfather of British Pop Art’, Sir Peter Blake’s work crosses generational divides. Knighted in 2002, and with his work represented in major collections throughout the world, Sir Peter Blake is a grandee of British Art. Is comprised of 26 silk-screen prints that manifests Blake’s ongoing fascination with pop culture. B is for Boxer depicts Joe Louis, who was world heavyweight boxing champion from 1937-1949; I is for Idols is a collage of screen legends, artists and musicians including Shirley Temple, the Beatles and Marilyn Monroe. Is a feast of found imagery and typography in which each work represents a different letter of the alphabet. The Letter F features colourful illustrations of fishes, foxes and fans alongside more unexpected inclusions such as diagrams of fencing manoeuvres, faucets – and Fingal’s Cave. These excerpts of illustrations, text and typography are broken up by the insertion of small blocks of primary colour, and a hand-written list. The range of materials reflects the wealth of Blake’s personal collection of printed ephemera, the diversity of his interests and his love of minute detail. Presents twelve individual alphabets that includes objects of personal memory, such as a bus ticket collected by Blake from a trip to Utah. Appropriated Alphabets 3 is compiled from the first letters of various font names, and Appropriated Alphabets 5 is a playful stencil of his favourite typeface. 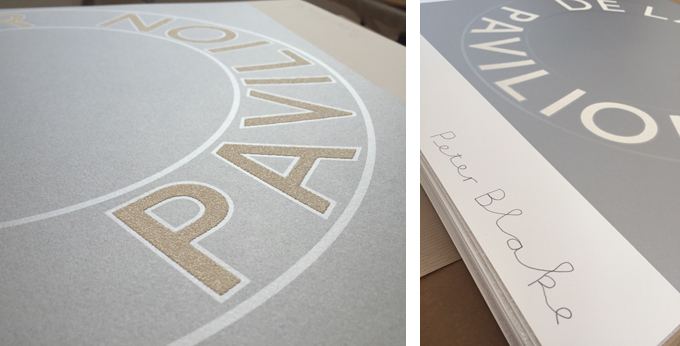 A beautiful signed limited edition (80) print is available to purchase from the DLWP Shop online or in person.